The heaviest duty Ab Wheel in the world! Ab Wheels have been used for years as a great way to work your abs and generally strengthen your core. 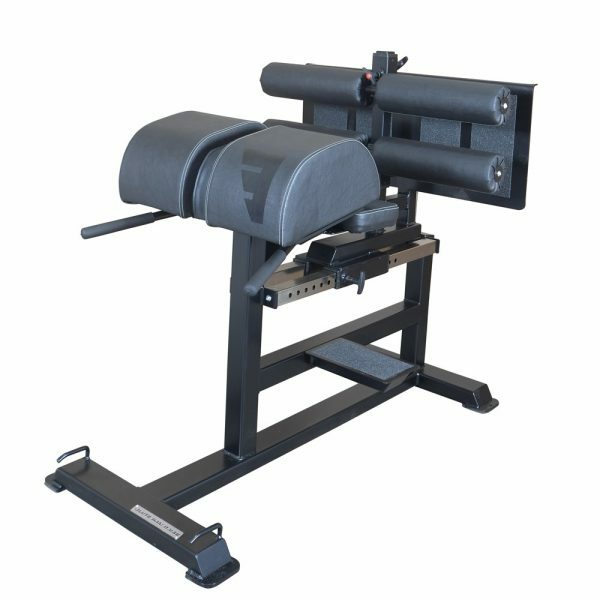 This great exercise is starting to become popular again but there’s a problem, all the Ab Wheels on the market are very low quality that either break or have so much friction the exercise can’t be performed the way it should. 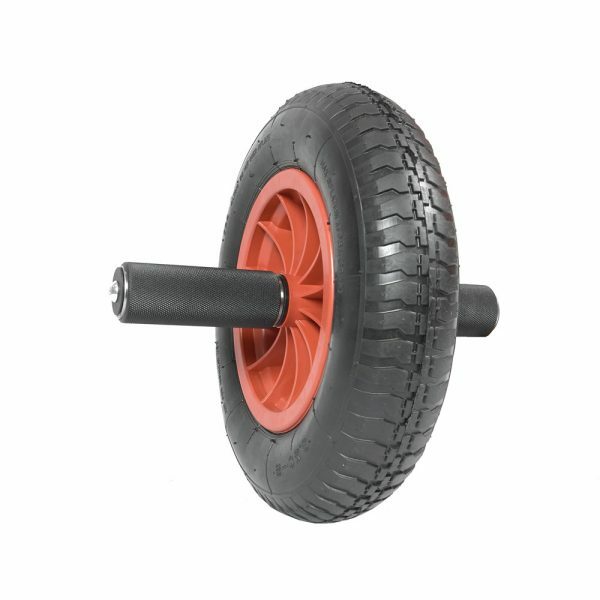 The Watson Ab Wheel will easily take 150 kg and the 2” thick knurled handles won’t dig into your hands the way the usual ‘skinny’ handles do. The handles have 2 roller bearings in each end meaning it’s totally smooth no matter how much you weigh. Can be used on or off road!! This was my first purchase from Watson and it made me a repeat customer. 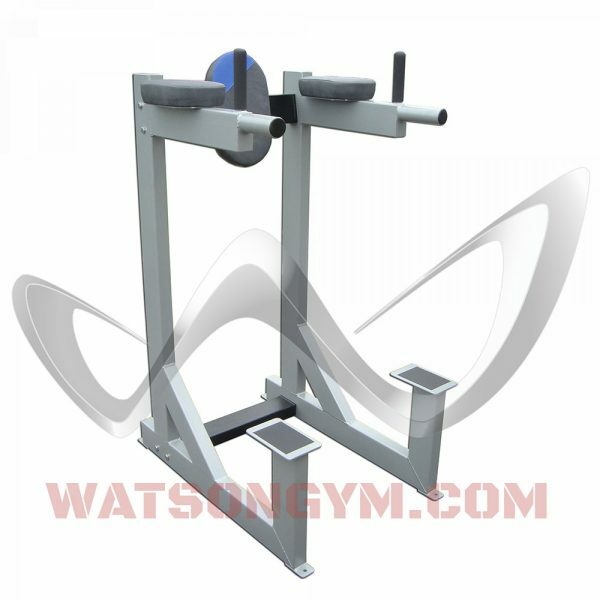 What an amazing idea, building gym equipment with quality in mind! The attention to detail, putting excellent handles on something so “small and insignificant” as an ab wheel demonstrated these guys really know what they are doing; an ab wheel isn’t actually insignificant and details do matter. I have loved using this thing, and it has gotten a lot of use. 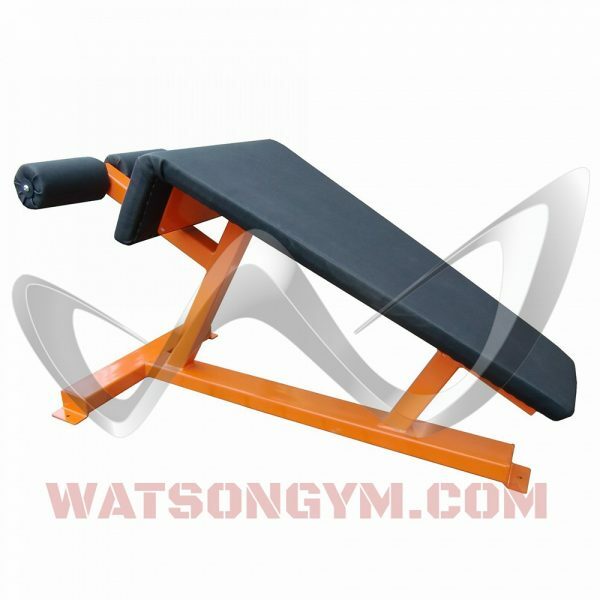 Can’t imagine using an inferior ab wheel after using this, there is no comparison. I use it not only for standard exercises on the floor, but for running distances in the grass (try doing THAT with a cheap plastic ab wheel). Don’t hesitate, about this or anything from Watson. Buy with confidence and look forward to many years of enjoyment. Grippy, strong and built to last a lifetime. Plus you could really do an awesome wheelbarrow race with a few mates and a couple of these! Usual Watson build quality – totally indestructible! 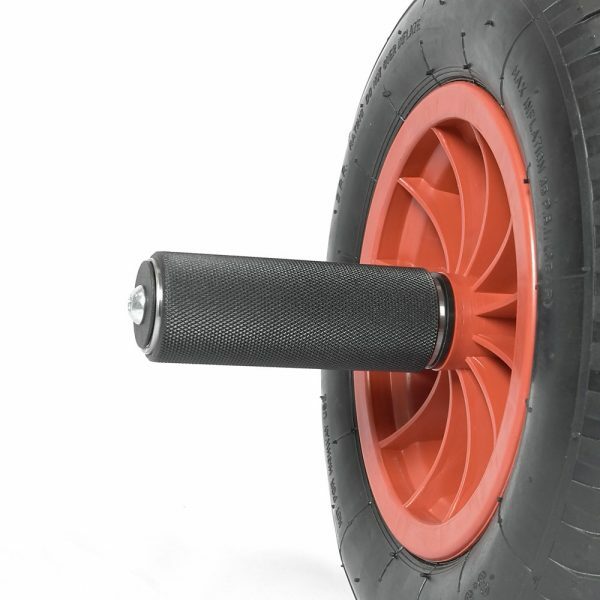 Far better than the usual plastic and foam wheels you see kicking about most commercial gyms and the bulky tyre means you can use it outside. Works just fine on my uneven grass and provides a bit of an extra challenge. Outstandingly constructed piece of kit – heavy duty and perfectly smooth. I weigh 105kg and it easily takes my weight. 5 star quality as always from Watson. I could not be happier with it! 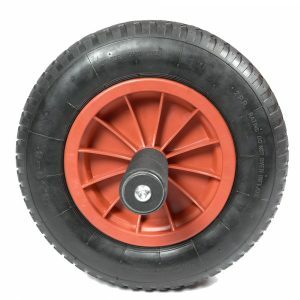 Very heavy duty and solid ab wheel! Absolutely the best ab wheel on the market! You can practice safely with this. I will order my second ab wheel soon, I was so happy with it. I have owned numerous ab wheels over the years. As a published fitness writer and working sports model, I recommend ab wheels as one of the best abdominal/core workouts – especially as it exercises the upperbody as well. This ab wheel is by far the best I have used. If you know how to do the exercise correctly (keeping the knees, hips and shoulders in a straight line throughout and never breaking the tension in the core that position creates) this ab wheel allows only a handful reps to be conducted with a slow tempo before complete failure. The design not only looks cool, it is functional and hard wearing. I would thoroughly recommend to anyone wanting to have just a few pieces of kit to train at home. Furthermore, this ab wheel allows you to use it on the grass, a muddy piece of ground or in the gym. You can literally use it off road. I’ve never seen this anywhere else. Great idea, great piece of kit! Don’t bother buying any other ab wheel that will break when you load the exercise. I can guarantee that this wheel will take anything you throw at it whether your’e 20 stone or you load your weight vest up 120KG+. Even the box it comes in can withstand pretty much anything and is testament to the high quality work Watson produce. Commercial quality stuff – more effective than all the Ab wheels I have used before. Bought with the Watson Birthday gift Voucher… Excellent . Excellent quality. Large size, and grips which make it so comfortable to use. Knurling is very grippy too.